My friends, Happy Thanksgiving week to my American readers, I hope you are going to be enjoying family time this week and some good nomz! Tricky topic, well I believe it is, and you will see that in the video as I discuss both sides and try to come to a conclusion. Take a listen and let me know your thoughts. Link HERE. I’m sorry I just checked it and for some reason the whole video is not in sync. Take a listen and ignore the fact that it doesn’t match up to my actions. Sorry, damn iMovie. Do you think people should track? Categories: Personal Thoughts, Rambles, Vlog | Tags: Calories, Counting Calories, Disordered Eating, Education, Food, Healthy Body, IIFYM, Macro Counting, Macronutrients, Macros, Mental Health, Video, Vlog, Weight, Weight Management, Wellness | Permalink. This is something I have been meaning to post about for a while as many of you have asked about what to do if you have no access to a gym. Although having access to equipment in the gym is the ideal situation, there is nothing wrong with working out at home if that is what you have available to you. In anycase, you’re doing better then the next person who just doesn’t do anything exercise related because they can’t get to a gym right? Good on you for getting creative and getting your sweat on at home. In a typical Lil Miss Fitness Freak fashion, I will show some blog love to give you some examples of great blogs that have shared some at home workouts that will get you glistening. Find your own resistance. Find something with some weight for when bodyweight becomes too easy for you. Just because you’re at home doesn’t mean there is no such thing as pushing that lil bit further. Cans, bags of flour, purses, backpacks, etc, etc. You can adjust the resistance based on your progress but remember, just like at the gym, if you can do something 4 thousand times its time to rev it up. Climb to new heights. This kind of goes along with the previous suggestion, but find things that give your a variety of heights to work with. Things like couches, tables, stable chairs and stools and such can either help you build up to an exercise your muscles aren’t ready for yet or make things harder. Push-ups serve as a great example for both. Place your hands on a table to make it easier as the lower incline takes some of the resistance off, while switch it up and put your feet on it to make those push-ups harder. Just make sure your form doesn’t break down. Have some breathing room. Make sure you give yourself some room to work! Plan it out ahead of time. Just like if you were to walk into a gym, know what workout you’re going to do, whether you’re making up your own or following a guide. 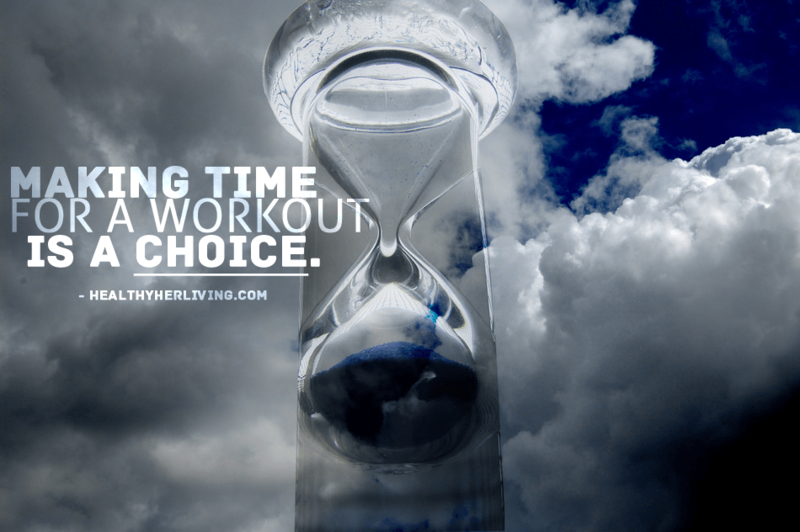 This way you will be as efficient as possible and not have to stop constantly to think about what to do next or to readjust everything because you didn’t plan a good flow of exercises. Take it outside. Think you’re stuck inside your house? Not a chance. When the weather cooperates, go to a park, yes a kiddy park and do some work there. Sprint up hills. Run the nearby trails if you’re lucky enough to have those close by (Hamilton peeps! ), find some stairs or bleachers to climb. They are all fun and games. Think outside the home box. Buddy system all the way! Have a housemate/roommate, sibling or parent? Get them to join in and you can help to push each other plus it makes it even more fun. So with that, lets get sharing eh? Here are some awesome gym-free workouts coming at you. Click on the pictures for the video and/or link ups. I love Nikki Blackketter’s YouTube channel. She is always trying random things to keep her exercise fresh and fun. Check out her stadium workout. Check her out here and see how she switches it up fitness wise. This is a great workout in general for when you are low on equipment and wanna have fun with different surface heights. This is even great for when you are confined to a small space. Once again, Heidi has some great tips for workouts both in and out of the gym as she travels a lot for her fitness modeling. A student for all my fellow students. Josie is the girl…ie the man, but totally a girl…cheese show. She is actually such a great motivator for healthy lifestyles and balance. Being a busy student herself with a life, school and extra curriculars, she shows you have to live your life while also treating your body with the respect it deserves and keeping that mind healthy. When you don’t even have a timer but you have 20 minutes. This HIIT ladder is great for those who only have a short amount of time but want to sweat. Yes it’s cardio, but remember there is a difference between HIIT and straight cardio. HIIT has a host of benefits for cardiovascular endurance and strength building. It even has a timer going for you so you don’t need any equipment at all! Sweat, baby sweat. Ignore the title. Are you ready to HIIT like a beast? This title irritates me for obvious reasons, but it is a great HIIT workout that appears to be great for athletes as it offers a lot of movements that could be beneficial for functionality. Pssh, “like a girl.” What does that even mean? 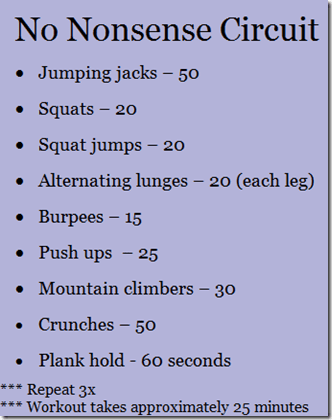 From one of my favourite bloggers, Julie has a ton of great at home workouts here including the one posted below. She is super sweet and positive and her blog is just a great read in general. She’s expecting a lil boy soon too. The Tone It Up girls have got it going on. This Mermaid routine is one of their newest videos to post for the summer and they have created quite an amazing site for both fitness and nutrition. They have tons of videos for isolation fitness routines and full body. They even have holiday versions, vacation workouts and much, much more. Make sure to check out the rest of the Katrina and Karena’s site. They have blown up all over social media. Another social media icon is Cassey from Blogilates. I’m sure you have heard of her, but have you really checked out her page? She features tons of workouts, nutrition posts featuring fun recipes and health tips and lifestyle vlogs and posts that are geared towards self love and balance. Here’s a single example, but make sure to parooze around her site to benefit from what she has to offer. Anyways that’s all I have for you all for now. This came just in time for Fitness Friday and I really hope this can be useful to you guys! Categories: Blog Love, Fitness, Fitness Friday, Reader Questions, Tips and Tricks, Vlog | Tags: Blog Love, CIrcuit Training, Exercise, Exercise Motivation, Exercise Tips, Fitness, Fitness Friday, Gym Free Workouts, Health, Healthy Body, Healthy Lifestyle, HIIT, Home Workouts, No Gear Workouts, Reader Questions, Things To Think About, Video, Vlog | Permalink. Thank you all so much for your love, feedback and support on yesterday’s vlog. It means the world to me trust me. I promise to bring you along on this journey with me so that that hopefully it can help anyone who may be going through the same thing. Facing fears is not easy. It doesn’t just happen without internal struggles and some ugly times and I hope to be as real with you as possible. Speaking of yesterday’s video, a lot of you had concerns about what to do next or that you will gain weight if you stop doing cardio. Check out my follow-up video below (click on the thumbnail) as I attempted to clear your concerns. I hope that helps. Complete 180 comin at you random-wise as we continue these Tuesday Thoughts…. I thought roasted sweet potatoes were good, but charred on the barby just takes them to a whole new level of amazingness. Anyone else in the same boat where the black, charred parts are the bestest? 4. I Faced My First Fear Challenge Today. As part of increasing my calories, specifically carbohydrates, my nutritionist and I planned on slowly adding an intraworkout supplement into my training. It was something I was thinking of doing for a while, but dried fruit really freak me out because sugar is the biggest fear thing for me. I actually brought up the idea as I have seen many people on YouTube who use candy as a pre or intra (meaning during) workout boost of sugar to finish their workout strong as opposed to dying off and half-assing the end part of their training because their glycogen or energy stores are gone at that point. As Gabrielle and I discussed, once you reach about 1.5 hours of training, it is about time that you consider a refuel as your glycogen stores are probably starting to wane a lil bit. I have regularly felt drop off and so I really did think about poppin some dried fruit as a way to get my flame back on when I start to fizzle out BUUUUUTTT.. The sugar freaked me out and I didn’t do it. Today, as part of my goals this week, I will say that I successfully popped dried figs during my workout today and I didn’t die. Did I feel a bit of guilt? Yes. I felt guilty as my body heated up like fire because my metabolism is not used to concentrated sources of sugar. I felt guilty feeling that sugar on my teeth after I ate them just tauntin me that I ate something I feared. I didn’t feel half asleep on my drive home due to being uber depleted and fatigued after being drained completely during my workout. I was also able to power through the rest of my workout feeling more alive. So like I said before, I need to focus on those later benefits that I felt and not think too much about the other things. I train hard and if it helps me perform better, why should I be afraid of it? So the dried figs will continue on. One day at a time. 5. I Miss My Housies. Emily texted me the other day and she made my whittle heart melt. These two have honestly become my best friends and I truly miss them already. We have our own lil jokes. Our own traditions. Our own quirks. We even have our own go-to restaurant that we always have our date nights at. So glad my housemates love Thai food as much as I do. Red Papaya is our jam-a-rama. 6. I’m Going Over Board On Halibut. Spring and summer time is the ONLY time that halibut steaks are available. Steaks are immensely better then any fillet will ever be tenderness and moistness (sorry…) wise because you are baking it with the bone in and the skin wrapped around it. Pretty sure I have eaten this 3 times this week…#Obsessed. Once again, grill that baby up for the biggest mouth-gasm. So true. Anyone else? I actually feel like a dog no joke. I will totally make you a plate but don’t even think about touching whats on my plate if you want your fingers. So I absolutely adore the White Chocolate Raspberry Questbar flavour and well, this is an obvious love..
Why must you been so smalll whittle package. That won’t last. Found this gem on Netrition.com. Paleo approved, no crap and no sugar added. Bam. I have a problem. They were released this morning… Money was removed from my bank account and a box was ready to be shipped to my parents house by this afternoon. Anywho, those are my thoughts for today. I hope you had a great Tuesday friends. Are you a fan of chocolate mint? Categories: New Product, Personal, Reader Questions, Things To Think About, Tips and Tricks, Vlog | Tags: Challenges, Family, Food Fear, Friends, Goals, Housemates, Love, Mental Health, New Product, Personal, Questbar, Rambles, Random Thoughts, Reader Questions, Tips And Tricks, Video, Video Log, Vlog | Permalink. Click on the thumbnail for the link to the video. And I’m not trying to just jump on the bandwagon here. I truly think that being aware of this growing issue is very important. 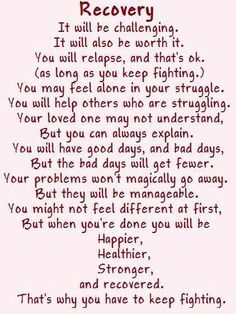 Eating disorders are so often misunderstood and judged as simply a choice or a cry for attention but the real issues are much, much deeper then that. I have a very hard time looking past peoples judgements of this awful disorder due to lack of understanding, but perhaps that is because I know so much about the psychology behind these disorders and mental illness in general. I will say that I hope you choose to educate yourself rather then make hurtful judgments and comments because an eating disorder is not as simple as someone refusing to eat. Here’s a lil list of factoids for ya to show you just how serious and HARD this illness really is. 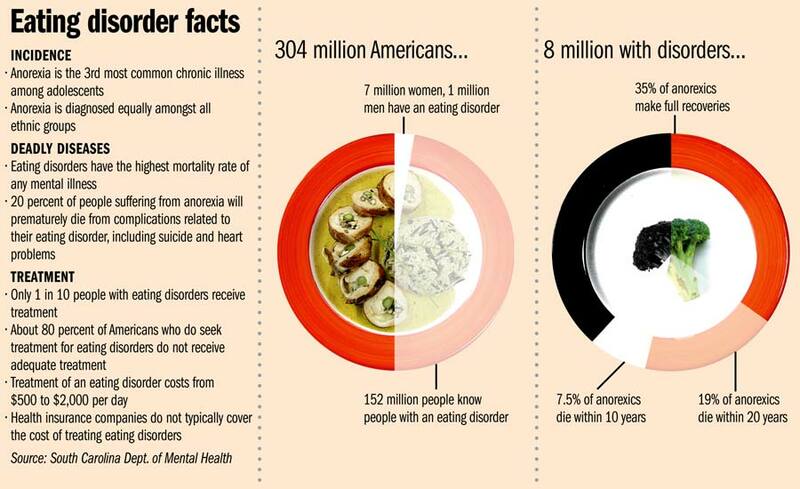 As far as total deaths related to mental illness, eating disorders are the number one killer of adolescent girls. It is estimated that 10% of individuals with [anorexia] will die within 10 years of the onset of the disorder (NEDIC, 2014). There are line-ups of emaciated and dying boys and girls to get treatment. We just don’t have enough services to help all of the individuals plagued by this disorder. Its not always all about food. Most often it has to do with control. Many individuals use food as their way to control something when they perceive the rest of their lives to be out of their control. Family issues is a common contributing factor to eating disorder tendencies. It’s not a female issue. More and more males are being affected as well. For more stats and tidbits, visit NEDIC here. To follow-up that last point, I just want to add that THAT is why you cannot and should not judge an individual inflicted with an eating disorder (or any mental illness). It is not their choice. They have not chosen to harm their bodies in the manner that they do. They are simply not strong enough emotionally to fight back against the obsessive compulsive nature of the disorder. They are literally in a battle with their own head. Do you know how hard it would be to try to turn your thoughts off? How exhausting that would be? Think about that for a second. I have a lot of experience with eating disorders…. I have done research on children’s eating disorders during my first undergrad degree at McMaster University. My thesis was on Binge Eating Disorder (BED). I have many friends who have and, unfortunately, continue to, suffered with the grips of this disorder. And well, I have a secret that I’m finally ready to share with you guys.. I apologize that they are so long (both part 1 and part 2) but that’s because they were difficult for me to record and because they are never scripted. I just let my thoughts flow. Click on the thumbnails for access to the videos. I hope you stick around for the full run through, but I can understand if 20 minutes is too long for you. And part 2, once again, clicky on the thumbnail. I have held this back for so long not because I’m ashamed of what I went through, because I’m not, but rather, because I have been afraid of what my friends (who I didn’t know through the ordeal) would think of me once they knew. I was afraid that they would think of me differently. Perhaps, they would speak to me differently or feel the need to not say certain things around me if it at all relates to eating disorders or body image related things. I guess I was afraid to be seen as a victim of sorts because I’m not. Yes I went through hell and back. Yes, I hit rock bottom in my life, but you know what? That was ONE part of my life and for it, I’m a much stronger person. As I mentioned in my video, I have grown so much from that experience because I learned more about myself and my abilities during that struggle then I have throughout my whole life. I am me because of that event. I am me because I made it through. I fought and I fought damn hard. I pulled through. I lived. Yes, I continue to fight that voice every day because it never fully shuts up no matter how ‘recovered’ one is. He still likes to creep in when I’m vulnerable (like during exam stress) and make me feel small and weak again. When that happens it’s my job now to know that my body gave me a second chance to live and I’m not letting anything take that away from me. I have worked too hard for that. I also have help. I have my friends and my family there even when they don’t know it to help get me through those tougher times when I’m feeling overwhelmed. For that, I can never give enough thanks. I also have you guys. This lil blog spot where I can say what I’m feeling is such a release for me and it only makes me even more happy that I can relate to you and help any of you beautiful people in any way. You too are my support system and for that as well, I thank you. I can only hope that now that you understand my quirks and know that I am here to provide a listening ear to anyone who is struggling and needs help. No one is ever alone! I also hope you all know how much you mean to me. After all, I just spilled the biggest and hardest secret of my life to the world to you all and I hope that I haven’t scared you away. I’m human just like all of you and have my own struggles and my own demons to deal with. 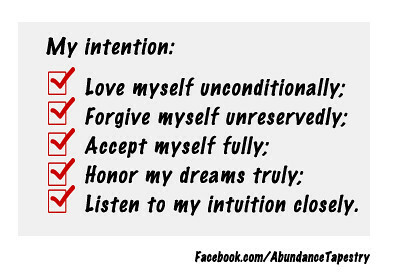 The main point is that I’m trying, forever growing and striving to reach a point where I can finally say…. I hope that this post has resonated with you all and please please please promise me that before you start to form a judgement about anyone with a mental illness, stop and think about why you are doing that. In most cases, you will come to realize that you are judging simply because you don’t understand and we don’t like to feel like we don’t know something. Much love and thank you again for always being an amazing audience to share my thoughts and feelings with. Here is an interesting article to read up if you’re interested. Also, never be shy to chatter back at me in the comments. Pause. Hover over submit. Take a deep breath. Publish. Done. 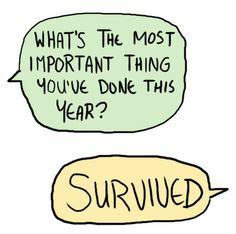 Categories: Event, Personal, Things To Think About, Uncategorized, Vlog | Tags: Awareness, Eating Disorders, Health, Health and Wellness, Judgement, Life, Love Others, Love Yourself, Mental Health, Mental Illness, My Life, My Story, NEDA, Personal, Personal Struggles, Psychological Health, Secrets, Set Backs, Struggles, Things To Think About, Video, Video Logs, Vlog | Permalink. So I have another Question and Answer-ish vlog coming at you all thanks to a very good friend of mine, Molly. Click on the thumbnail to take you to the video and I hope you enjoy. PS. Ladies, please listen very closely to the very last few sentences of the video (if you make it that far, I’m sorry it’s long) even though I’m practically yelling at the screen HA. It’s very important for you to break that myth in your minds! Categories: Fitness, Reader Questions, Tips and Tricks, Vlog | Tags: Exercise, Fitness, Fitness Journey, Fitness Tips, Reader Questions, Thoughts, Tips And Tricks, Video, Video Log, Vlog | Permalink.